Models are helpful, in the same way that habits are helpful. They both allow us to navigate through new and sometimes confusing situations without always starting at ground zero. Models are like maps where map are pictures, simplified pictures or representations of territory. They are condensed and accessed when we need them. However, maps are not territory. Some maps are good maps and help us steer through geography without too many problems. Some maps aren’t quite so good and end up having us go down paths with dead ends or venturing into dangerous territory. Models can be helpful, but they should never be confused with territory itself. Maps can never give one the feel of the land, its uniqueness, its smells, and its sounds. If we focus exclusively on the map and not the territory, we miss the richness of the land. Models for reaching Muslims are also maps. They aren’t necessarily bad, but they are not a replacement for experiencing individual Muslims and the richness of their culture, groups, families, and individuality. 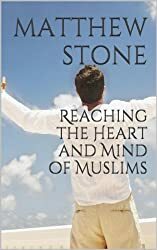 Models of missions are helpful when viewed in a big brush stroke kind of way, but they are not helpful to the degree that they get in the way by having us focus too much on the model and too little on the uniqueness of the Muslim right in front of us. Too many Christians place their faith in the map and devote too much time arguing with other Christians about why their map is the best map. This should encourage us to view “Islam” as simply being what people who profess it actually believe and do (Bates and Rassam 2001, 89). Biblically-based ministry in the Islamic world is not about engaging Islam per se, but rather about engaging Muslims. Romans 1:18ff does not refer to systems such as “Islam,” but to humankind. It is people who “suppress the truth by their wickedness” and thus need to be the focus of the gospel (Walls 1996, 66). So whether or not the Islamic State, Saudi Sunnis, or Hezbollah represent “real” Islam is not a major concern for me. As ministers of the gospel, we start with people in the complexity of their contexts. It’s not our job to define Islam, but to present biblical faith. Yet the complexity of people in their contexts must be embraced without resorting to reductionistic oversimplifications which often lead to the type of decontextualized approaches to Muslim ministry that can be commonplace in evangelical missiology. We just did an interview with Matthew Stone on our Podcast called Truth About Muslims. he is a great guy. You can hear his podcast at www.truthaboutmuslims.com or subscribe to the podcast on iTunes.